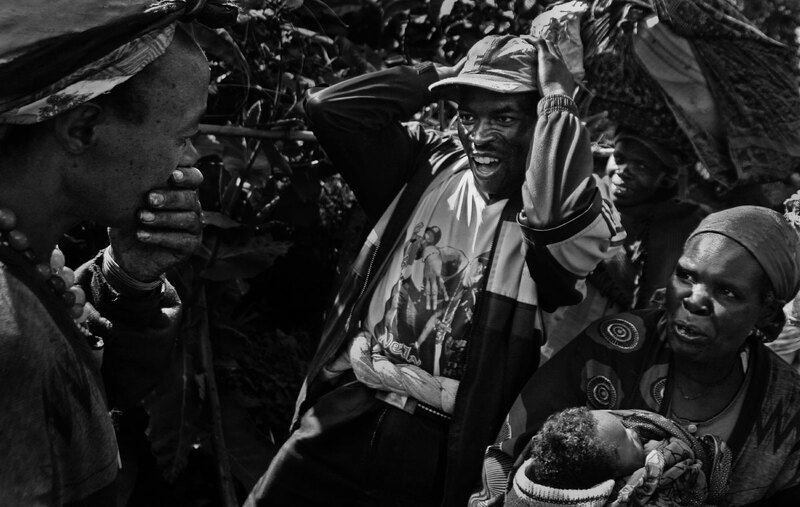 Fifteen years after fleeing from Rwanda into Congo following the 1994 Rwandan genocide, former Hutu military rebel Leonard Hakokimano, middle, is astonished to see his mother for the first time since running away. For those 15 years, Hakokimano didn't know if his mother was dead or alive. Seeing her lost son, Patricia Nyira Habimana just stared. "Mom, you're still alive," Hakorimano said. "Mom! It's me, it's me!" Still staring at him, she began to cry.